Those of you who read this blog know that the most tactless thing I have ever said was when I asked a young desk clerk in Milan why there was a transvestite working with him. Well, I now have a good runner up. One of the good things about my move to the United States from the UK four years ago was reconnecting with my RL extended family. I have a cousin who lives near me in Florida, and we have many family dinners at her house. At the last dinner we had, my cousin's in-laws also came. I picked up my Mom who lives near me to go to dinner, and my Mom informed me that my cousin's father-in-law was from Jamaica! I thought how cool!!! We walk into my cousin's house and I realize that my new extended family is interracial! And they are really interesting too! 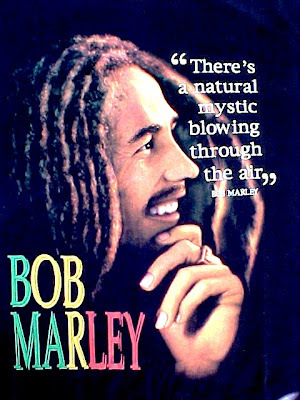 I go ahead, pretend I am smoking a joint and look at my cousin's father-in-law and take a toke and say Rasta, man! I thought I was saluting his native country! No one says anything. We sit down to eat and my mom proceeds to kick me hard under the table. My cousin's father-in-law says to everyone "Eddi do you think I am from the island of Jamaica? I am from Jamaica, Queens. 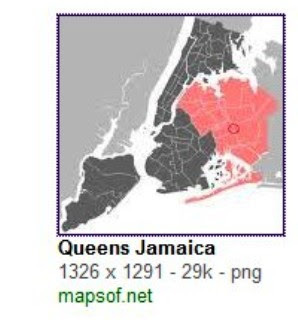 It seems that New Yorkers call the area around Kennedy airport in Queens "Jamaica". I got the two confused. It also turns out my cousin's father-in-law is a quite observant orthodox jew who probably never smoking reefer in his life. Now, he later cornered me and told me he was cracking his head off when I did this and found it funny. But my mother did not and still tells me to think first when I meet new relatives. I have a third incident to report and promise to publish this one day soon.